It's Not Work, It's Gardening! 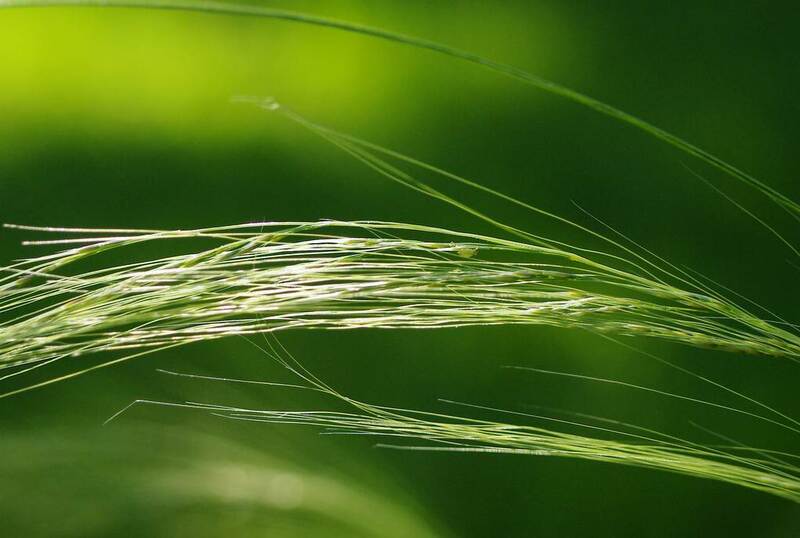 : Feather grass! 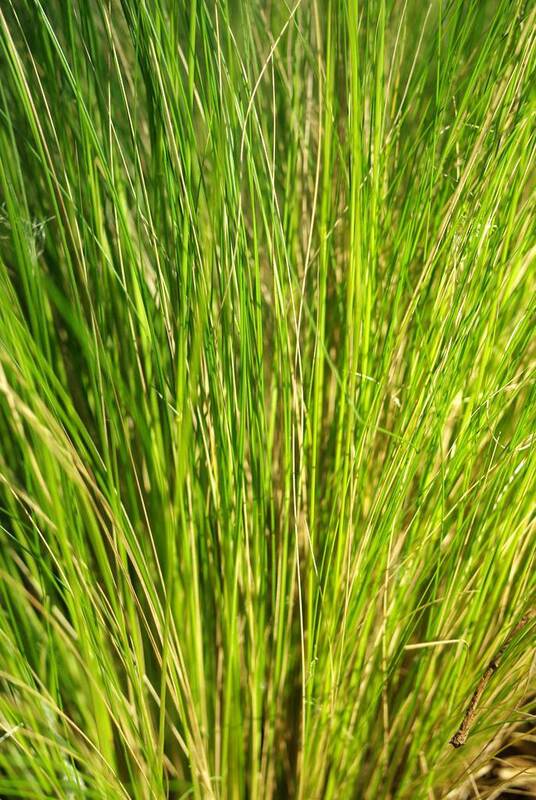 Now I know that this grass is considered to be invasive in some areas of the country, but here in St. Louis it's quite well-behaved, reseeding only gently. 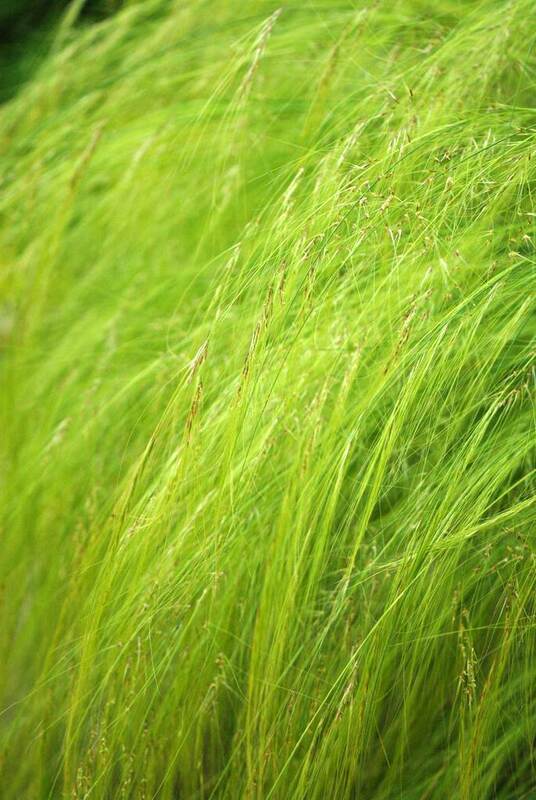 This is probably the best these grasses have looked in a while, probably due to the mild winter. They usually die back completely and have to produce all new leaves, but this year it seems that some green remained -- or perhaps they just broke dormancy really early. They looked even better last week when they were more upright, but I think some heavy rains bent them down a bit. I've never had these grow as upright as the plants I see in photos. Is it not enough sun? Too heavy of soil, or soil that has too many nutrients? Maybe it's the seeds weighing them down? 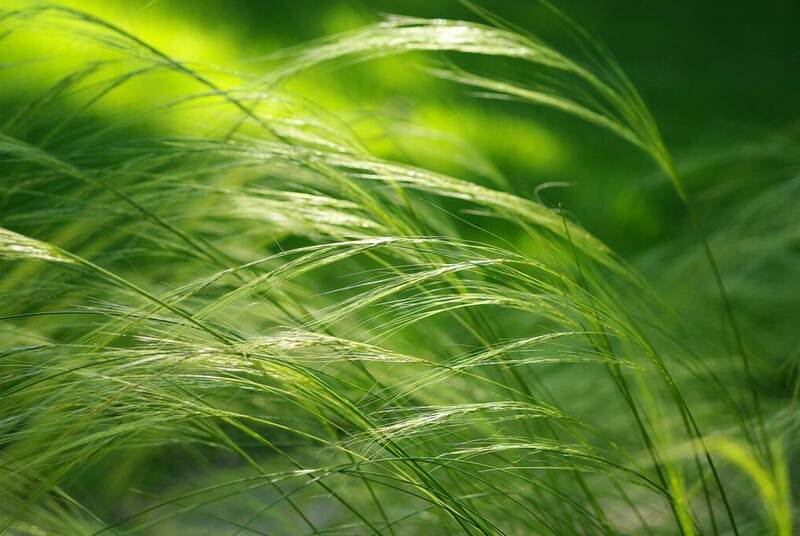 I'm going to collect some of this seed and get it growing right away, because I have several more spots in my yard where I'd like to try this grass, which comes alive, swaying and dancing in the slightest of breezes. It just glows, doesn't it? 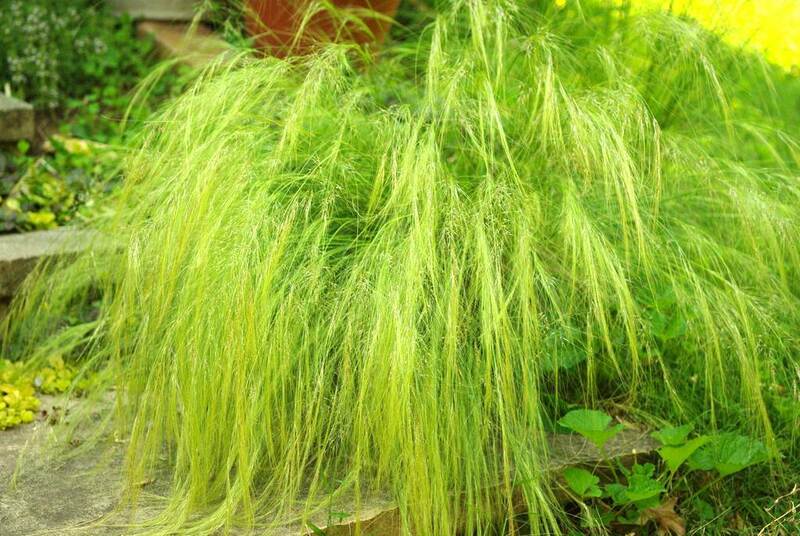 Mexican feather grass, Nassella tenuissima: I love it! 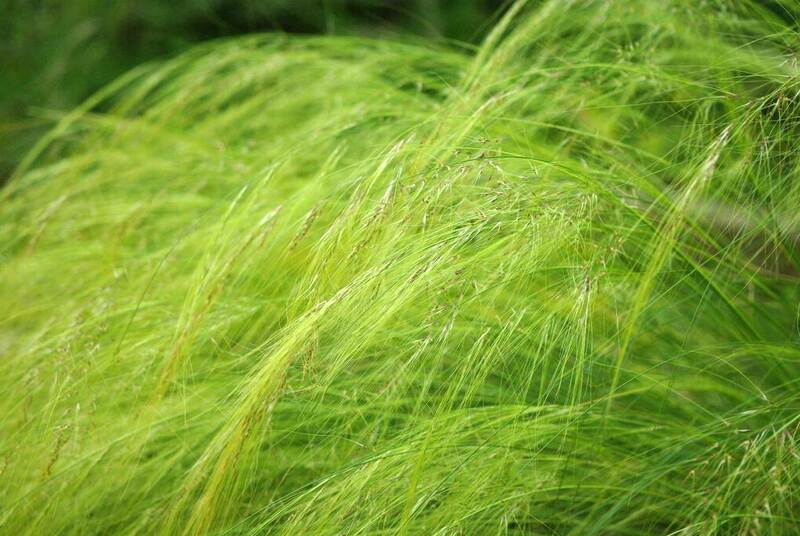 Hi Alan - My very favourite grass this is - I have a few of them that are battling along in my sunniest bed. Do you think it might be that the soil is too rich in the bed? I had never thought of this. 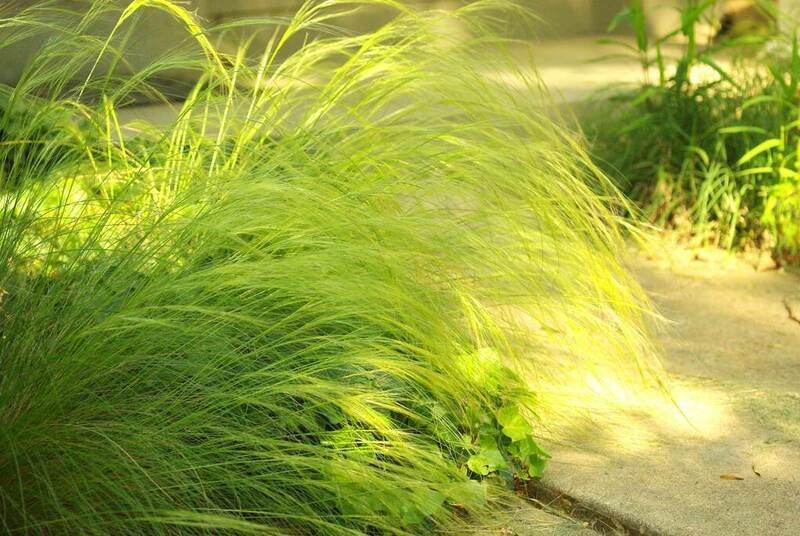 It's also one of my favorite grasses BUT it is terribly invasive here. We have seedlings all over the yard from our neighbor's plants--and I think hers were volunteers too. Fortunately, it's easy to pull up. 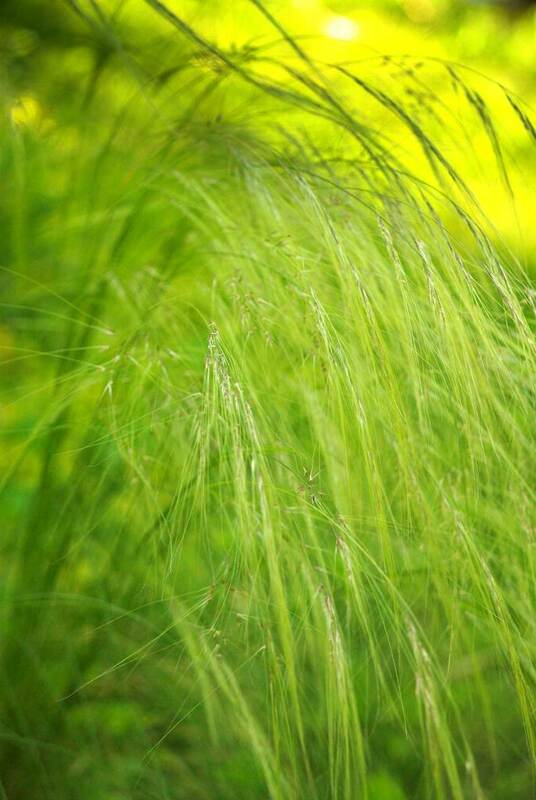 A mass planting of Mexican needle grass is a sight to see. That sure is pretty grass. You are right about it looking good in sunlit pictures. I just started collecting grass a year ago. This is something I would love to have in my collection. Please destroy all of this grass. 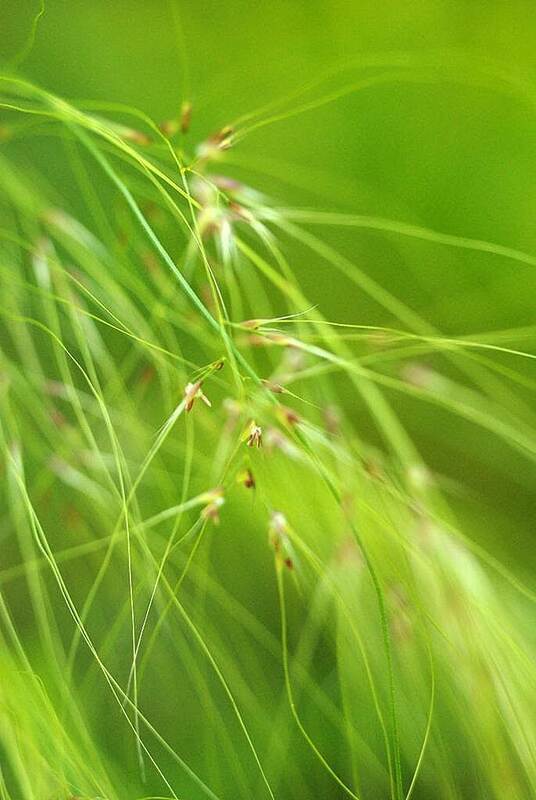 It is a major weed. It has been planted all over California with NO PROTECTIONS WHATSOEVER for the environment. It is not a native. It is a pest. Please destroy. No it is not easy to control or pretty in wild areas. Anonymous: I appreciate your concern, but the key to its invasiveness in California is the climate -- in our cold climate it's not the thug that it is in warmer areas.